Got T-boned by our friend Mr White (van man) while cycling to my local shop before Christmas and am unable to ride so am selling. 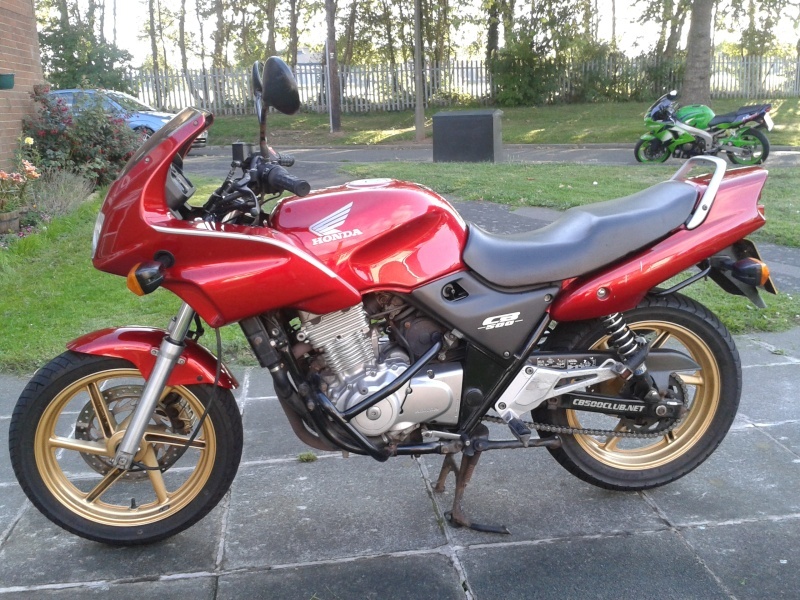 Anywhoose its an 2002 red cb500sy with about 35k on the clock, has a new front tyre (about 100 miles on, newish back (400-600), its done about 1.5k on DID chain and jt sprockets, new TEC rear shocks fitted only a few months before accident and a new rear disk at last mot. Will come with 12 months MOT, oh and it will come with a new battery......will be advertising it for £950 but will take a bit less from a friendly forum member. This is an old pic as ive not got a new one as the bike is right at the back of the garage and i havent the strength to get it out yet. Looks very nice and sounds well sorted, just up the road from me too, wish this had come up sooner, was on the lookout a few months back! Bargain for someone! Hope you recover well! Sorry to hear of the sad reason for having to sell your bike! And most of all a speedy recovery! Thanks guys, no witnesses unfortunately. Stock answer: I didn't see you mate or as it is better known SMIDSY. Fwiw I witnessed a bike accident over a year ago (posted on here about it) and it wasn't resolved by last December. I've spoken to both solicitors and as everyone was at fault (or at least could have driven/ridden a little better) both parties have a case so it'll be a percentage of blame thing...will get sorted one day! SOLD- To a friendly gentleman from staffs who bought it for his son. 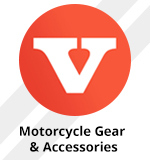 Have directed him to this site with my full recommendation as you guys are brill. Hopefully though he will have no need to ask questions regarding problems too soon. Well thats it for me and my lovely CB, i have not felt like this since i was last dumped by a girlfriend tbh, big hole in my life and all that Anywhoose you guys have been great and you never know i might get another CB5 one day and return to your welcoming arms. But my heart is set on a high pipe hornet when i am able to ride again. Glad you've sold it and which hornet are you going for the 600 or the 900? @Jameshambleton wrote: which hornet are you going for the 600 or the 900? 1./ Sorry to hear of your run in with the 4 wheeler. 2./ Sad/glad (?!) you got her sold quick. 3./ so THAT'S what my Bike is supposed to look like!